Let me share with you about an amazing author you have probably never heard of named Nelson Hannah. 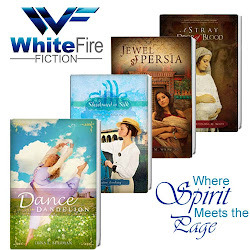 In May of 2012, I served on staff at the Blue Ridge Christian Writers Conference as an editor for WhiteFire Publishing. I love working conferences, but they can also be overwhelming for me. Nelson Hannah was the calm in the midst of my storm that week. When he came to me for his editor appointment, he was relaxed, confident, and kind. His experience as a pastor came shining through right away. I loved his gentle spirit and the premise of his book, and I was excited about the possibility of adding him to our WhiteFire family. Then, he did something no other conferee has ever done for me before or since. He offered to pray for me. Well, I jumped on that opportunity! As he took my hands right there in the appointment room and began to pray, the presence and peace of the Holy Spirit washed over me in a very tangible way. He prayed words over me that God had been speaking to me just that morning in my own quiet time. And I knew for certain: this guy was the real deal. I wanted more of whatever he had to offer. As an editor for WhiteFire, I only read Nelson's proposal and handed it along to our non-fiction editor. This fall, I finally had a chance to read the full finished product, and I was even more blessed than I anticipated. 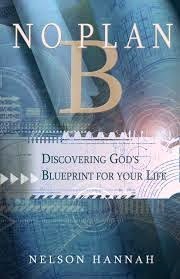 No Plan B is by far the best book I have ever read about our identity in Christ. This seems to be an area of significant disparity in beliefs between born-again Christians who are all diligent students of God's word and good-hearted people. Nelson cuts through the excesses on both sides and finds that narrow road of truth. He debunks a lot of religious sounding, yet unscriptural, ideas to get to the heart of who God intends his children to be. Rather than try to summarize Nelson's ideas, let me offer some little snippets to whet your appetite. That was God's original intent--the genesis of Plan A. Far too many of God's sons and daughters still live in the confusion of slavery rather than the comfort of their radical new identity in Christ. We have majored on what to do when God was only interested from the beginning in whose we are. Jesus has been repopulating creation with a new species, reproducing himself in them. You are not just another human being stuck in a dead-end existence waiting for death to set you free so you can experience the wonder of heaven. No, eternal life began for you the moment you met Jesus. Spirit-filled has become a term that overwhelms some believers with fear and apprehension. Yet it is a biblical description of our position and power in Christ. We must reclaim it, believe it, receive it, and start walking out this privileged position in our daily lives. It is our inheritance, a necessary part of God's gift to us. Okay, I think that should be enough to pique your interest. If not, let me also mention that beloved CBA author, James Rubart, wrote the foreword for this book. You can check that out and also read a sample of (or order!!!) Nelson's amazing book here. Let me close by saying that I have taught and even written about many ideas in this book, and I still walked away from it with clearer understanding and a sense of awe. I am blessed to have read this book and honored to have been a small part of its birth into the world. It gets my highest recommendation, and I strongly encourage you to read it soon! This week I learned a new writing term. "Contagonist." I found the cool little video below, but still wasn't quite convinced, so I had to look it up for myself. Sure enough, a contagonist (which by the way my spell check doesn't recognize) is an actual archetypal (which by the way my spell check DOES recognize) character type. They are not the enemy of the protagonist, yet they continually oppose their goals. They often hinder the protagonist, or possibly tempt them to take a different path. And good timing for me to learn this new word, since I definitely used both an antagonist and a contagonist in my new book Chivalrous. Every day as a writer is an adventure, and I'm still learning and growing. These past few months have been a season of heart exploration for me. I’ve been inspired to really probe my heart and understand its deepest desires. 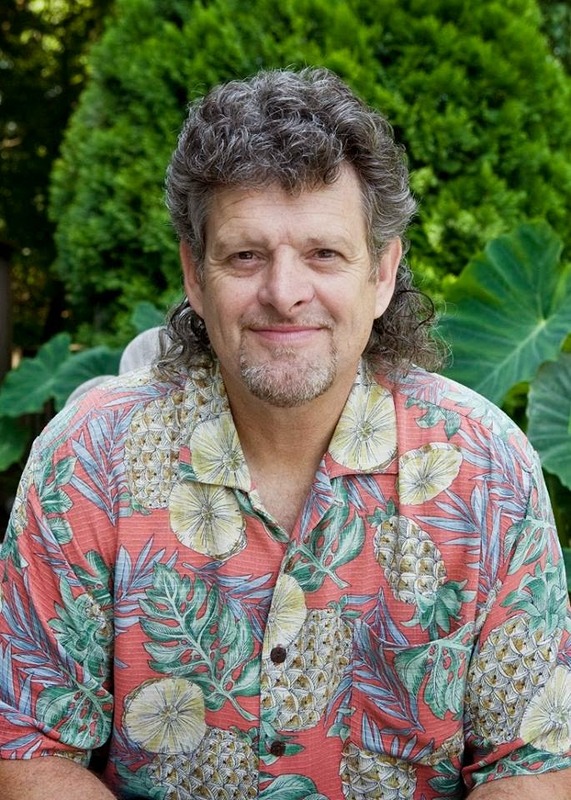 It all started when I had the pleasure of taking a continuing class with Allen Arnold called “The Heart of a Storyteller.” The class was all about putting your heart first and creating hand in hand with God. I loved it so much that I decided to continue my study of the heart throughout the summer, which was especially apropos as my upcoming series is called Valiant Hearts. Since Allen Arnold works with John Eldredge and referenced many of his books during the class, I decided to soak myself in Eldredge’s writing. 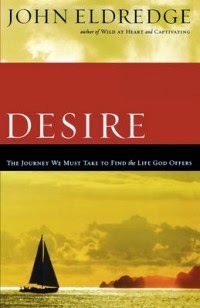 First I read, Desire: The Journey We Must Take to Find the Life God Offers. Usually when I read a book, I see portions I want to absorb into myself and make my own, and other parts that I don’t quite agree with. But I have to say, I drank in every bit of this book. So often in church we are given the impression that we must deny our hearts and our desires. That these are somehow “fleshly.” But Eldredge challenges readers to do the opposite: to awaken their hearts, seek healing form their wounds, and align their hearts fully with God. When we truly know God and understand the deepest desires He has placed in our hearts, we will be set free to live out our divine destinies. 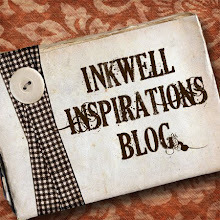 Next I read Captivating. In book 2 of my Valiant Hearts series, my heroine is struggling with gender roles, and I wanted to have a clear picture of Godly femininity versus traditional expectations placed on women. The book really helped me to see this clearly, and a surprise bonus was that it helped me to understand more deeply my own heart as a woman. So I went on to read Wild at Heart to better understand the man’s role in this whole journey, and I continued to learn and grow. I’m not certain that I bought every word in these books the way I did in Desire. As much as the Eldredges strove not to stereotype and box in the genders, that tendency still crept in at times, but overall I really enjoyed the books and gleaned a lot of valuable information. They challenged me to look at myself and those around me in a new light and continued the theme of awakening the heart. Meanwhile, never fear, my obsession with all things YA dystopian continued. Next on the list was the Delirium trilogy. This series is about a future society that seeks to eliminate love and passion, seeing them as a sickness called the Deliria, with horrible symptoms like loss of focus, sleeplessness, loss of appetite, increased heart rate, sweating, etc… I imagine most of us have joyfully suffered all those symptoms and more. LOL. While fairly sensual, full of profanity, and too mature for all but the oldest teens in my opinion, this series was a great compliment to my study on the heart. The author made some wonderful observations about the nature of love and all of its many facets, not to mention the enormous risk and cost involved in loving. I felt that her theme was very much in line with Christian beliefs. The dystopian society in Delirium had twisted scripture to their purposes and created their own religion, but the series seemed to subtly honor true Biblical beliefs and pointed out that the “old” religions had been based upon love and sacrifice. In fact, the heroine’s epiphany involved learning a true Biblical story which helped her understand the sacrificial nature of love. My summer of heart exploration culminated on August 30th, when I laid on the swing in the backyard determined to finish up my summer reading so I could focus on writing come September. On that afternoon I was struck with brilliant line after brilliant line. 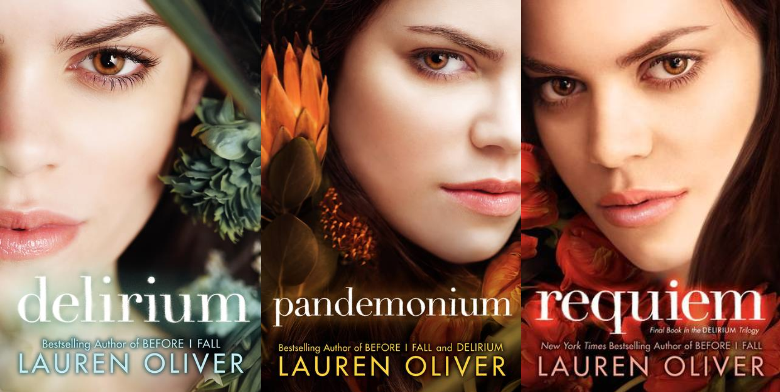 I clipped them and saved them together on my kindle, and when I went back to look at them, I was beyond amazed at how beautifully the wrap up of the Delirium series lined up with the wrap up of Wild at Heart. Allow me to share the brief version with you. And so that is how I wrap up my summer of heart exploration. Love is hard. Following your heart is hard. They involve risk and much sacrifice. They are fraught with mystery and uncertainty. But the risks and the sacrifice are well worthwhile, and the alternative is a life not worth living at all. 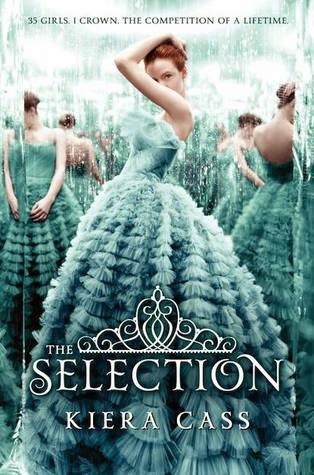 Let's face it, this series is worth reading for the exquisite gowns alone. 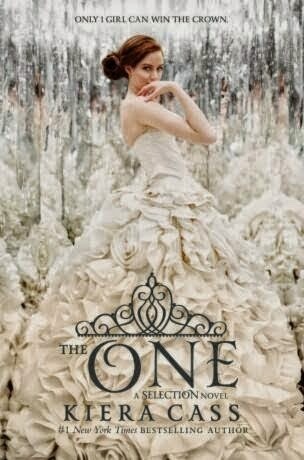 Unlike many of the other dystopian series, book 3, The One, is just as good as (if not better than) the other books. The dystopian elements finally become clearer and more believable. The climax to the series is exciting and full of twists and turns. And for once, YES!! !, a happy ending full of light and hope. 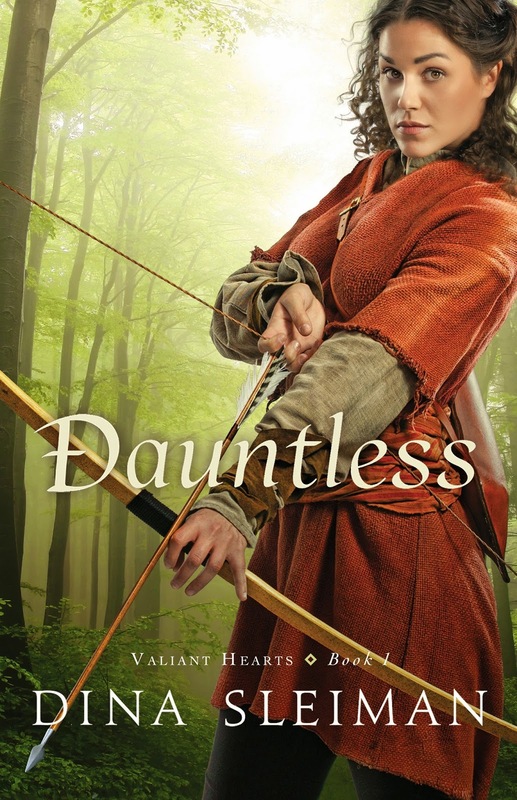 As for younger readers, this series is very appropriate for teens. The books are safely PG, and there is nothing I need to warn you about beyond some steamy kissing scenes. 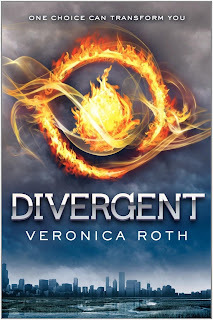 Unlike some of the other dystopian books, there is no dark, psychological trauma. I felt it offered good lessons about what is truly important in love, life, and friendship. Some adults might find the heroine a little young for their tastes, but if you enjoy a good fairy tale, I doubt you'll mind. I can't really put this series in the same category as Hunger Games and Divergent. It's a little silly in comparison. 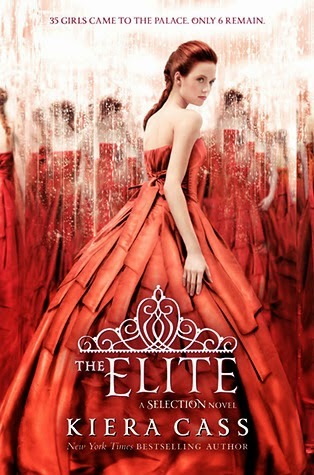 But if you would enjoy reading "dystopian lite" with lots of romance, then I say go for it.